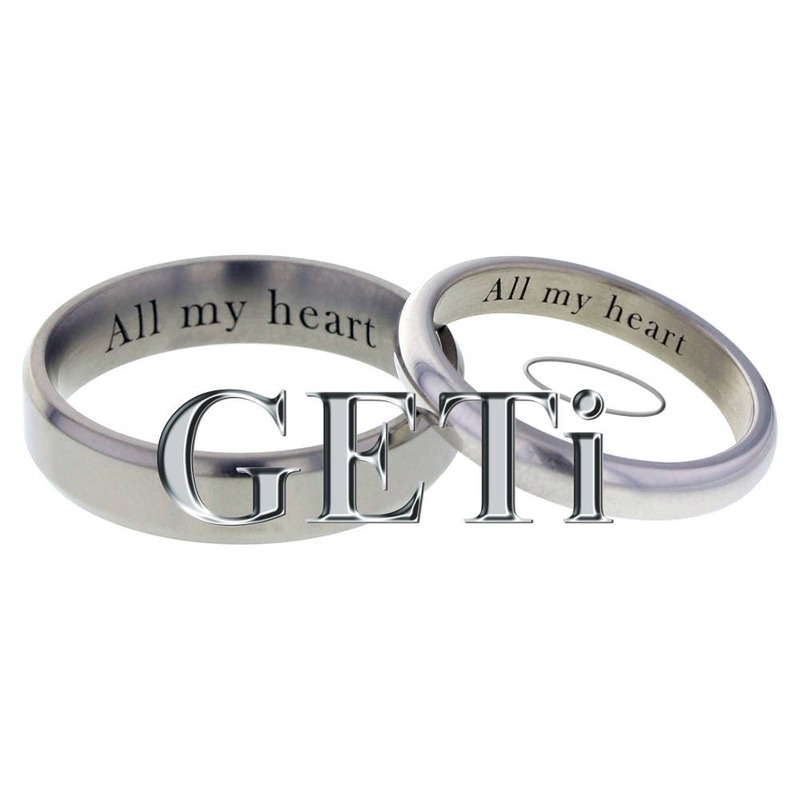 All our Geti zirconium wedding bands are custom made to order in Birmingham. 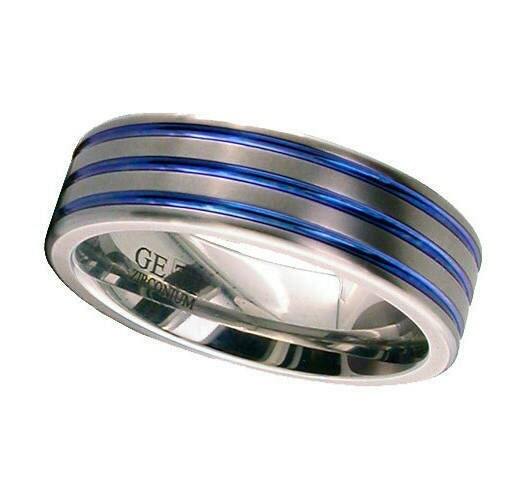 This is a hand made zironium flat court wedding ring with 3 anodised coloured grooves. The image shown is 7mm wide, however we can custom make this ring to any of the widths and sizes listed. Zirconium is great for weddings rings because it is durable and has a strong resistance to corrosion. Zirconium is non-toxic so is a great metal for those with allergies or sensitive skin. Black Zirconium is achieved by putting zirconium through an oxidisation process. This black finish is then polished to a high shine, or can be made into a matt finish. No matter what the finish, black zirconium is very resistant to corrosion and scratching. GROOVE COLOUR - choose from blue, purple, pink, yellow, bronze or black (colour pictured is blue). FREE ENGRAVING - can be engraved on the inside of the band. 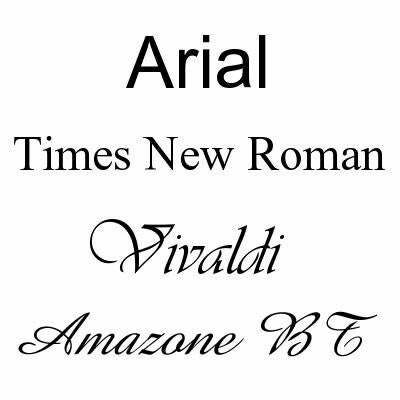 Please choose the style of font required and add the message required on your order. SIZING - because all rings are made to order, we would recommend having your finger sized by a professional jeweller, as we are unable to except returns on made to order and personalised items. All rings are sized to the leading edge. Ideally for an accuracy you should have you finger sized using a ring gauge which is a similar width to the ring you wish to purchase. DELIVERY - as all our rings are hand made to order they take 3-4 weeks for delivery. If you require an earlier delivery time please contact us.